Changes to the Library Website!!! Please check out some of the new additions to the Library Homepage. First, under the Books & Media tab, BerniCat is now called Brown Library Catalog. Links to the advanced search has also been added for the Brown Library Catalog and the I-Share Catalog. Under the Articles tab, we now feature our most used databases. You can find multi-disciplinary databases such as Academic OneFile and more subject-focused databases such as PsychArticles. The search bar called “Search by journal title to find it in one of our databases” allows a researcher to find out which databases have complete articles by the journal title. There are now also links to the All Database List, Databases by Subject List and Full Text Journals in Database List. Please take a look! We hope this makes your searching easier! Don’t Forget – Register to Vote! Today is the last day to register if you wish to vote in the upcoming Presidential Election! For more info on the candidates or where and how to register, check out our Research Guide on the 2012 Election. Returning students, we are happy to see you back on campus. 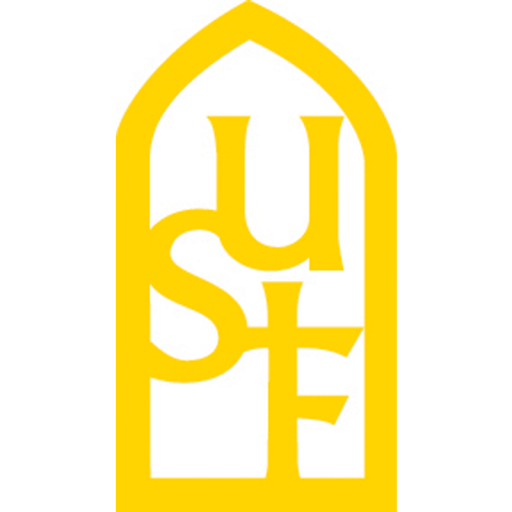 New students, we are excited to welcome you to USF! Just a quick reminder: In order to borrow items from the library or to submit an interlibrary loan request, you will need to register your student ID number with the library’s circulation department. Stop by the circulation desk or email circulation@stfrancis.edu to open your library account today! Due to the snow and the threat for significantly more to come in the next few hours, Brown Library and the rest of campus will be closing at 2:30pm. Classes scheduled for any time after 2:30pm will be canceled. Brown Library will reopen tomorrow at 9am. Enjoy the early closing and be safe in your commute home. Even though I know you’re not relying on Wikipedia to get all your research done for your classes, I felt a warning was due anyways. Wikipedia will be blacking out its English language site as protest over the SOPA (about) and PIPA bills that are working their ways through Congress. What does this mean for you? Just make sure that if you are going to do online research outside of the library’s databases you prepare yourself for a lack of availability from Wikipedia and a few other websites. Unfortunately, there is no workaround to gain access to these sites while they are protesting the proposed legislation. If you have questions on where you can access information that is similar to Wikipedia please contact Brown Library and we can point you in the direction of other resources that can fulfill your information needs. Brown Library will be closed Monday, January 16 in honor of Martin Luther King, Jr. Day. The library will reopen with normal hours Tuesday the 17th at 7:45am. One of the most commonly asked questions at the beginning of each semester is how you can place a request for a book you’ve found in I-Share. To help you set up an account and place your first request, we’ve created short videos explaining the process. Before you can place your request, you will need to create an account in I-Share. Watch the video guide. Once your account has been created, you can then request your book. Watch the video explaining how to request a book. If you are unable to request a book or create an I-Share account, please call the library at 815-740-5041. The library is always my first recommendation as the place to get your textbooks for free, but this contest from textbook supplier Neebo might be worth trying too! How do you enter? Head over to the Neebo Facebook page and Like them. This enters you into their sweepstakes. If you’re one of the 100.000 lucky winners you simply pay shipping (ok, so it’s only almost free) and you are sent your textbook for the semester. The details to the contest are on Neebo’s Facebook page, so head on over and take a look. Can’t hurt to try right?